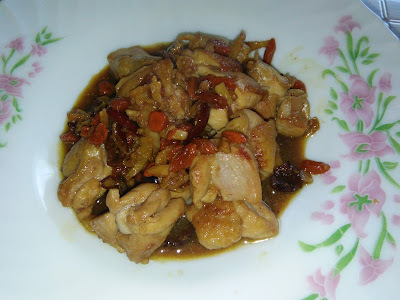 This is again an easy and simple chicken dish yet tasty and delicious. 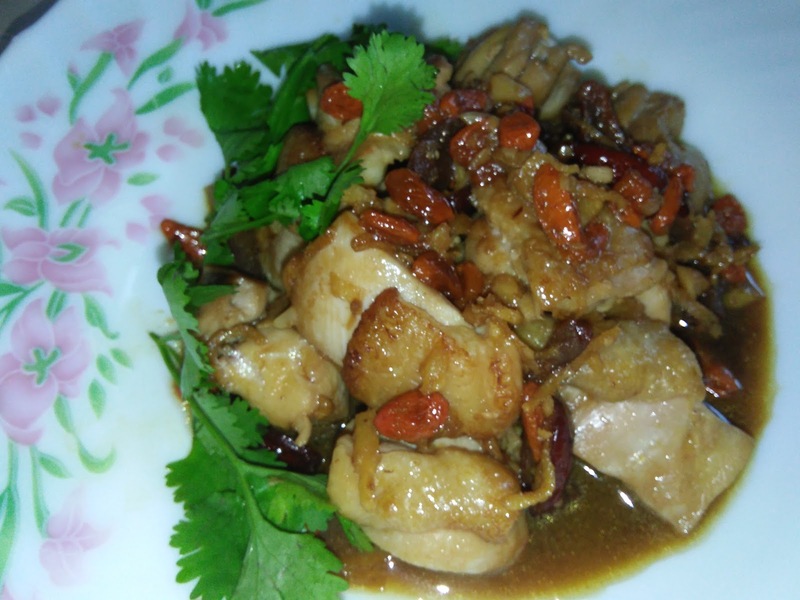 It is especially suitable for Autumn season where fresh dates can be used to cook this dish. I have substituted it with red dates. 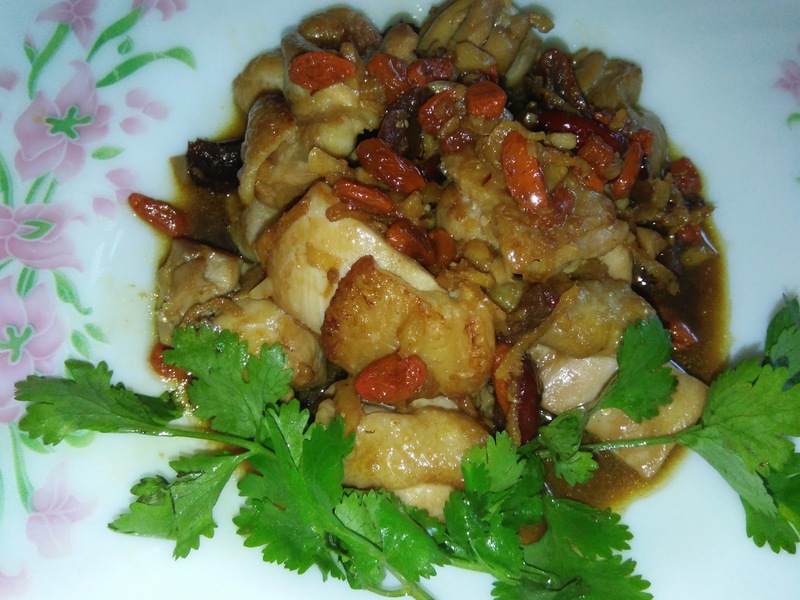 The combination of red dates, wolfberries and shaoxing wine bring about an aromatic dish, great to serve with rice. 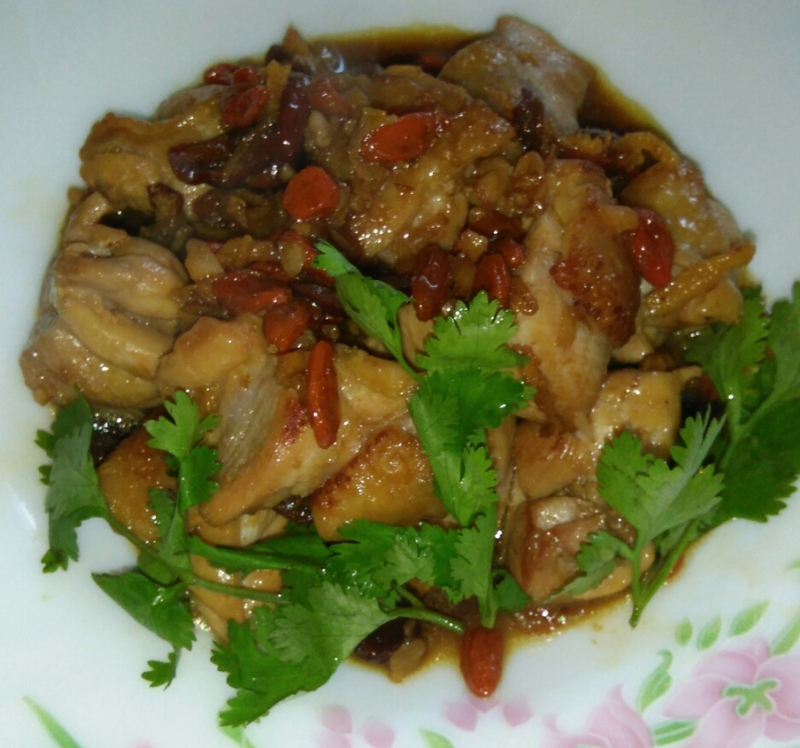 The meaty chicken pieces are sweet and savoury with the aroma of the wine. 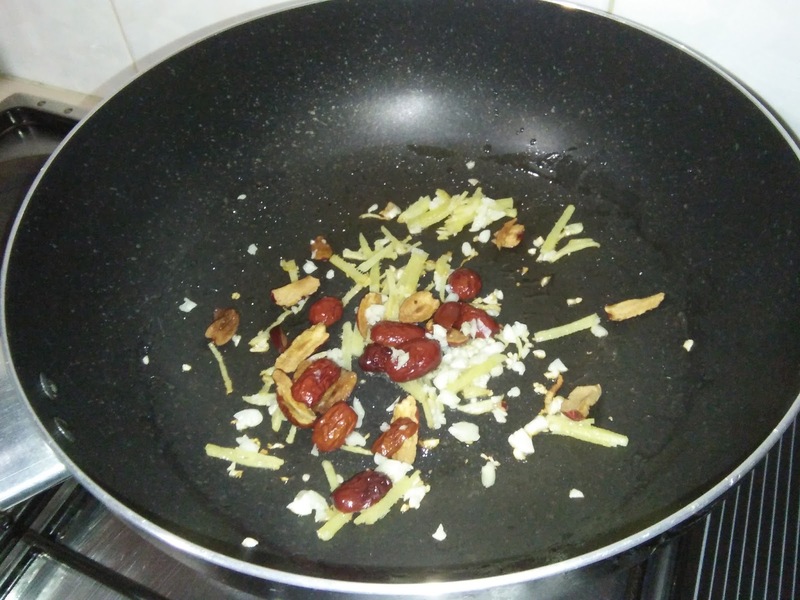 For this dish, no water is added. The thick gravy is a combination of light soy sauce, wine and juices from the chicken meat. Awesome and simple fried chicken dish, Chinese style. Heat oil in a non stick wok, sauté shredded ginger, garlic and sliced red dates until aromatic. 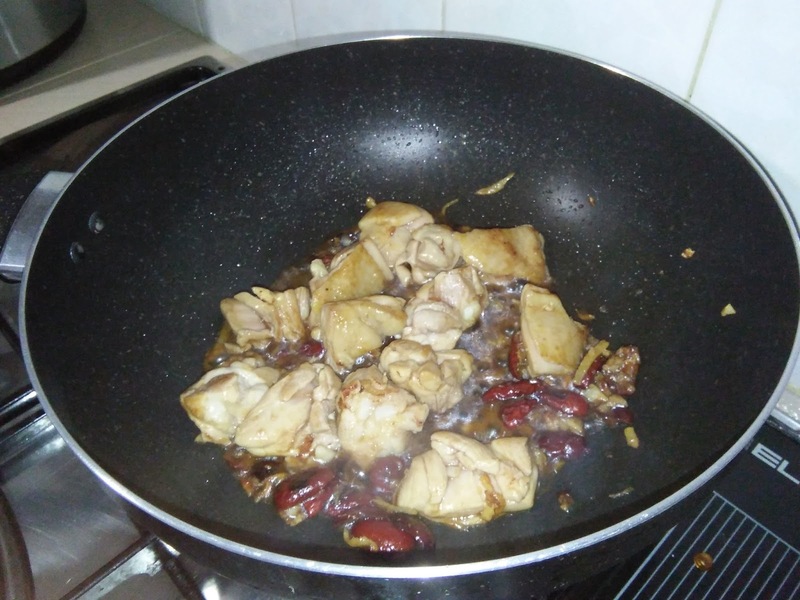 Add in the chicken pieces and continue to fry until the meat changed colour to white and firm. 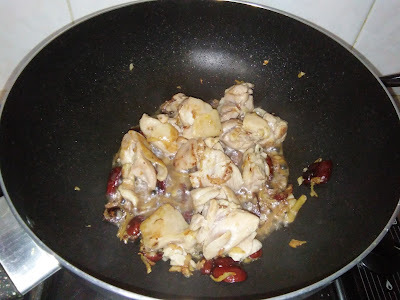 Add in Shaoxing wine. 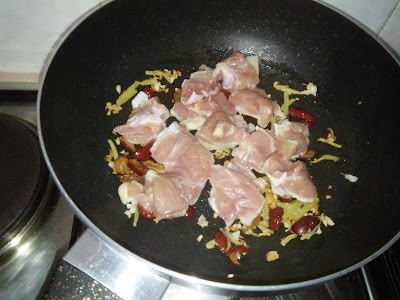 Add in the seasoning, stir fry to mix well. Add in kei chee then cover to let it continue cooking for 5-10 minutes. 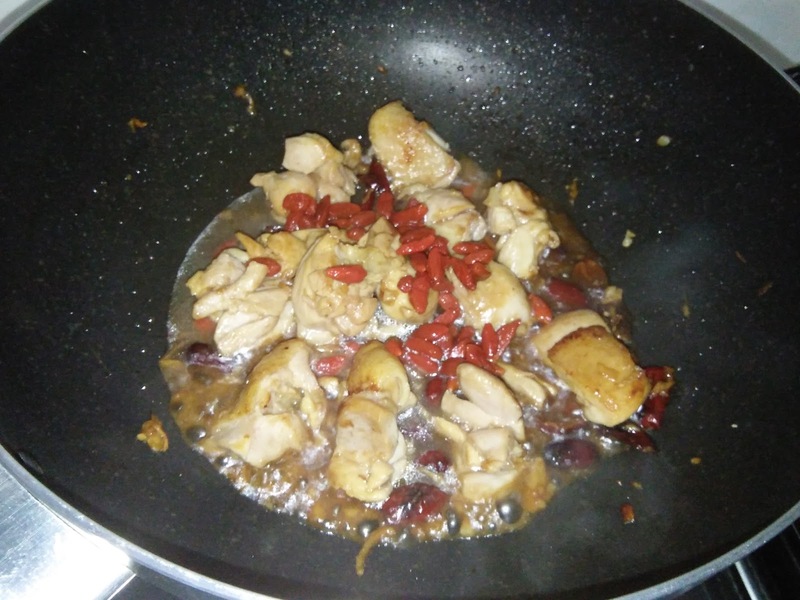 No water is needed to cook the chicken pieces. Uncover, dish up and serve hot. Hi Lissa, fully agreed with you. 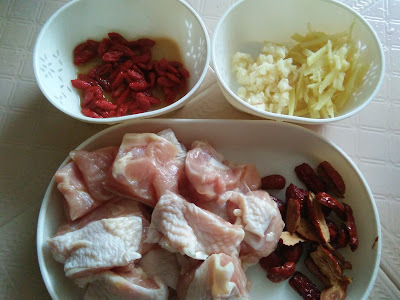 I love ginger and garlic and would add in more, too. Good flavour. Thanks for trying and the feedback.